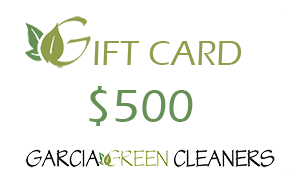 >> “Garcia Green Cleaning is thorough, efficient, fast and trustworthy. I’ve never had any type of problem with their rates, quality of work and promptness. I highly recommend them for home and office cleaning. >> “I hired Garcia Green Cleaners the week of SXSW mess. After making arrangements with my house guests, Melissa showed up promptly with all of her own cleaning supplies (because I didn’t have any) she was super thorough and even cleaned the fan blades. My house felt so nice when I got home. It was like a totally new place. I would hire her again in a heart beat. >> “We hired Melissa to clean our home/warehouse, because this is where we keep most of our rental properties appliances. We didn’t want to hire just anyone and let them into our home. She has also been out to both of our lake houses on Lake Buchanan, we are so happy to have her in our lives. >> “I’m a busy dad of one and with my fiance going on vacation to Costa Rica I wasn’t in the mood to do the cleaning. Melissa was able to surprise a cleaning visit for us and she made a huge difference in our lives that day. We will definitely recommend her to anyone of our friends and family. >> “I consider myself a pretty clean guy and try to keep my house tidy so I wasn’t sure there’d be much work for Melissa when I asked her to come clean. Boy was I wrong! She got deep into the cracks and crevasses and removed every particle of dust from my house without missing any of the small details like the top of the fridge or the back side of my bathroom sink hardware…she is thorough!!! Her green cleaning supplies smell great and apparently work just as well as the chemical ones. I can honestly say my house has never been this clean and it feels amazing. How she did it so quickly I may never know as I was not around, but I imagine she must look a bit like the Tasmanian Devil whipping through with her feather duster and leaving a trail of good scents and shininess behind her. I highly recommend her services, and she was flexible enough to schedule me with one-day’s notice. Awesome!! !